How many times have you had your sights on something that looked delicious and rewarding? Your vision was sharp as an eagle. You have the skill and experience but you are still not a veteran at this game. Your hopes are high, you take aim, execute the plan and ……boom! you miss the target. What do you do now?Do you add another page to the “I can never do this” book? Do you pack it in? Throw in the towel? Retreat and lick wounds? My friend look at the eagles in our estuary. 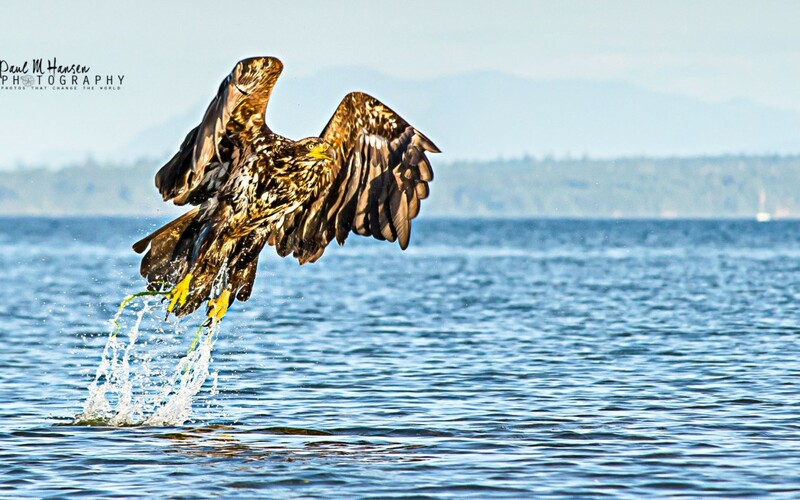 I have proof in this post that not every image of an eagle fishing is successful. In fact this young fellow not only missed the target but he caught seaweed, a little embarrassing for one who rules the sky. But I can assure you the hunt is not over for this young champion of the sky. He will certainly rise again, not only to soar to great heights but he will take aim again and like a star falling from the sky suddenly his talons will feel the victory of a fresh meal. Spread your wings and rise again – the day is not finished. Join our community list to receive the latest news and updates from our team.